I am sucker for local craft distiller with a great stories. So, last year when I heard about Michigan's Long Road Distillers, I was all in. 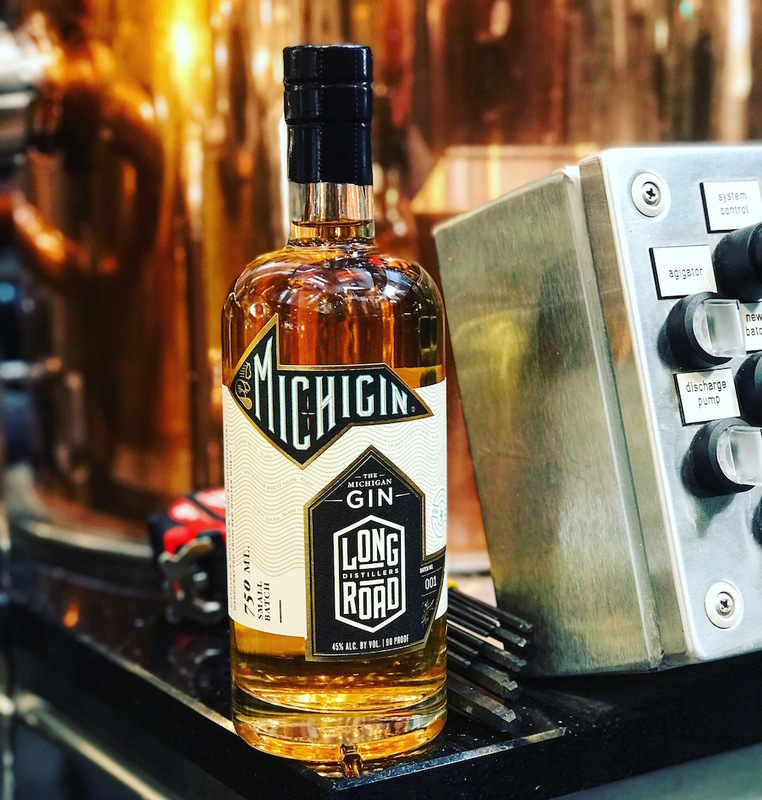 The Grand Rapids-based distillery released the barrel-aged version of their award-winning gin, MICHIGIN® last October. The gin was crafted from 100% Michigan ingredients, including Lake Michigan water, Heffron Farms' red winter wheat and juniper from Beaver Island. The distillery decided to set aside a single barrel of OLD MICHIGIN® to release prior to the making of Batch No. 2. The result exceeded expectations, according to Long Road team members. "The barrel and the gin complimented each other perfectly" said Kyle Shutz, head distiller at Long Road Distillers. "The resulting flavor is a bit more crisp and still has all of the fresh juniper notes that people loved about the original recipe." The original Long Road MICHIGIN® was named "Best Gin in the World" at the Fifty Best Competition in July and sold out shortly after the announcement. The second batch of MICHIGIN® was released in early November. Fewer than 200 bottles of OLD MICHIGIN® was released via the distillery. If you weren't able to grab a bottle, you can get to taste or enjoy in a cocktail, at the distillery.